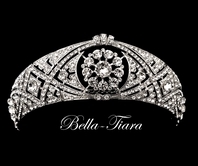 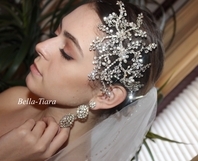 HOME / WEDDING HEADPIECES / Royal Collection Crystal Headpieces / Princess Meghan Markle wedding tiara replica - back in stock!!! 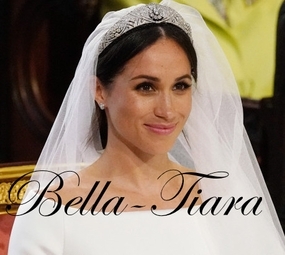 Description: Just Added to our royal collection - Meghan Markle beautiful Swarovski crystal tiara replica approx 1 1/2" high with two hoops on each end for bobbie pins. 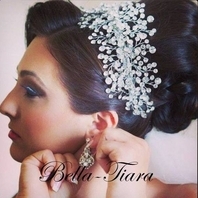 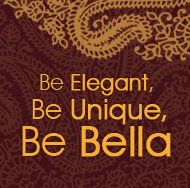 be a princess on your day.